Immerse yourself in Kenya's wildlife and irresistible charm on this exciting tour covering some of the country's most spectacular destinations and experiences. Leave with a genuine understanding of a country that is beautiful both inside and out, from the hustle and bustle of the capital, Nairobi, to horse riding in the wilderness and getting to know the Mara people. Finally, a visit to Victoria Falls seals the deal on the ultimate high note (pun intended!). It would be fitting to begin your journey through East Africa in one of its most progressive cities and at one of its largest hotels. Safari Park Hotel & Casino offers up a dizzying array of pastimes and accommodation options, ensuring you’ll never be bored during your stay in Kenya’s capital city. The perfect start and end to your Kenyan vacation awaits at The Emakoko. Surrounded by nature but in easy proximity to Nairobi and its airports, this family-run lodge allows traveller's to be far from the city's bustle without being too far. Ol DonyoLodge strives to offer its guests an authentic safari adventure, bursting with exciting wildlife encounters. With Kilimanjaro in full view and surrounded by an expansive wildlife conservation owned by the community, there is something beautiful to see wherever you look – especially if you are looking up while lying on one of the lodge’s famed star beds. The Maasai Mara National Reserve is undoubtedly Kenya’s most notable and revered reserve. 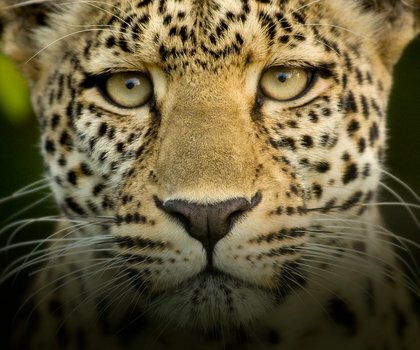 Its sheer size—extending to and eventually joining Tanzania’s Serengeti National Park—and stringent anti-poaching systems have made it famous for its remarkable populations of lion, cheetah, and leopard. 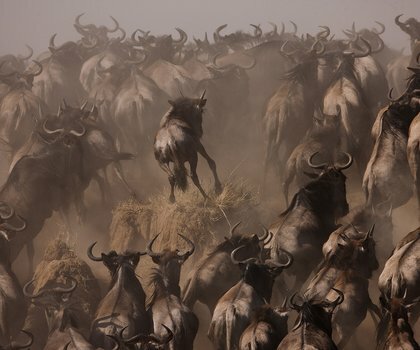 It is also celebrated for being one of the stomping grounds of the Great Wildebeest Migration. As one of only five camps in the Olare Motorogi Conservancy, Mara Plains Camp offers intimate and unrivalled access to this low-vehicle density tourism land bordering the Maasai Mara Game Reserve. Luxurious elegance radiates from every inch of the East Africa-influenced architecture of this striking camp. On a secluded bend of the Ntiakitiak River, Mara Expedition Camp in Kenya is located where forest and savannah meet. The surrounding area has a high density of game and is famed for its leopard sightings and the fact that the great wildebeest and zebra migrations that pass through the camp each year. At Mahali Mzuri you will not only find yourself in a private conservancy within the Greater Maasai Mara ecosystem but also housed in a stylish tent the likes of which you have never seen. From Wi-Fi and iPads for guest use to binoculars and a telescope for stargazing, everything you could possibly need has been provided. 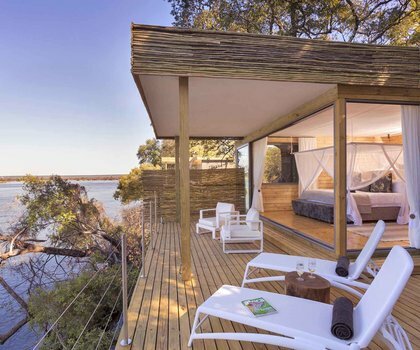 Only 12km upstream from the infamous smoke that thunders – Victoria Falls – and in the lush Mosi-oa-Tunya National Park, Sanctuary Sussi & Chuma lodge gives guests a front row seat to all the action on the Zambezi. A stay here is nothing short of exceptional. The last word in romance and remoteness lies on the banks of the Zambezi River at Tongabezi Lodge. The camp’s selection of riverside cottages and houses are tastefully designed with furniture and adornments from all over Africa. They also boast private terraces and infinity plunge pools while open-air sunken baths play host to full relaxation – with breathtaking river views.